Don't you HATE IT when you finish taking a shower and your skin becomes itchy, scalp becomes dry, and you even develop rashes that are SO frustrating! I've been there and suffered for months before a decision was made to make a change. What ended up happening was I began doing research on how I can filter out chlorine and hard water (what I thought was the biggest culprit). This lead me to find shower head filters which are built into the shower heads, removing a big portion of those annoying chemical additives. BEFORE I picked on, I went through all the best filter shower heads I could possibly find. From cheap ones to expensive ones, review after review. While I didn't buy every single one, my extensive research lead into each one using online forums, user reviews and other buyer guides. What each source told me, I carefully sculpted my own conclusion. Ultimately, I thought "why not make a guide that helps others, WITHOUT requiring all the extensive research I did". What you see in front of you is just that, a complete list of shower filter reviews, ranked from the MOST recommended to least. Check out the chart below and if you want deeper explanations of each, scroll down further to reach each individual overview. SIX Criteria for Needing a Filtered Shower, MUST READ! As you see above, there is a chart summarizing the ones I went over and decided they are worth looking into. If you were wondering what kind I picked for my bathroom, it was the Culligan WSH-C125. 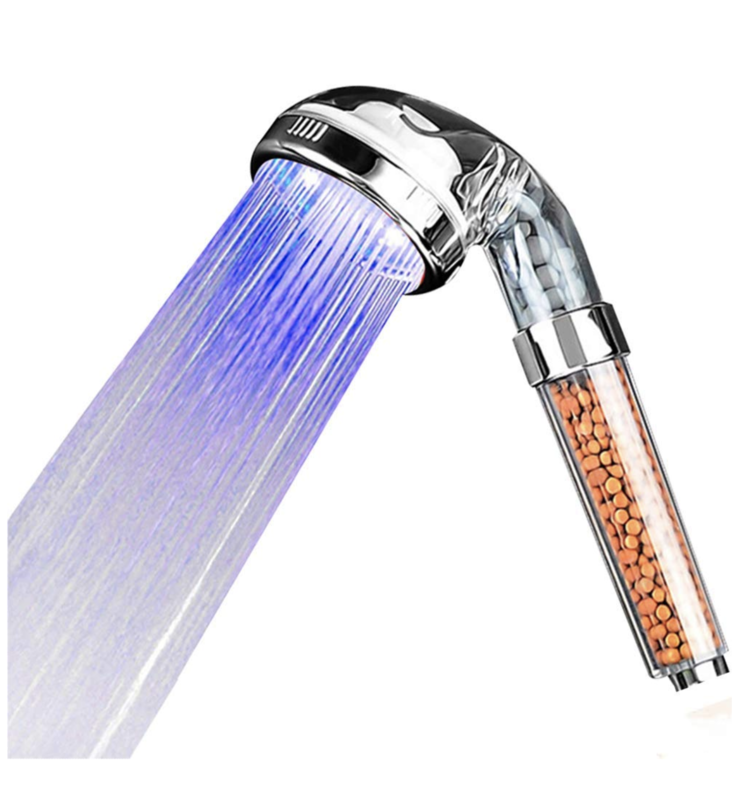 Obviously its #1 on that list, but that is a combination of reasons such as price (around $30) and integrated filter which makes anyone assume its just a regular shower head. It would be fair to give each of the five above a complete overview of what I thought of each, including giving pro's and con's of each shower filter review. So without further-a-do, let's get into it! Here she is, the Culligan WSH-C125, the best filter shower head on this list and one I picked (as I mentioned earlier). What makes it so great is its ability to feature multiple spray settings, be compact, have a replaceable filter, and look completely ordinary to anyone who first looks. If you need protection from chlorine, this thing can help you. Installation is as easy as it gets, if you have an adjustable wrench... take off the old one, apply some teflon tape to the threads and screw this one on. After initial installation, I began to notice less irritation when showering and my hair didn't feel as dry. 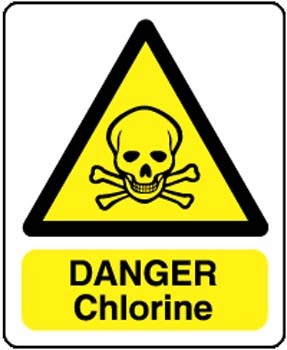 I am 100% confident chlorine is the main cause of those problems, and I'm happy to say the Culligan WSH-C125 helps. 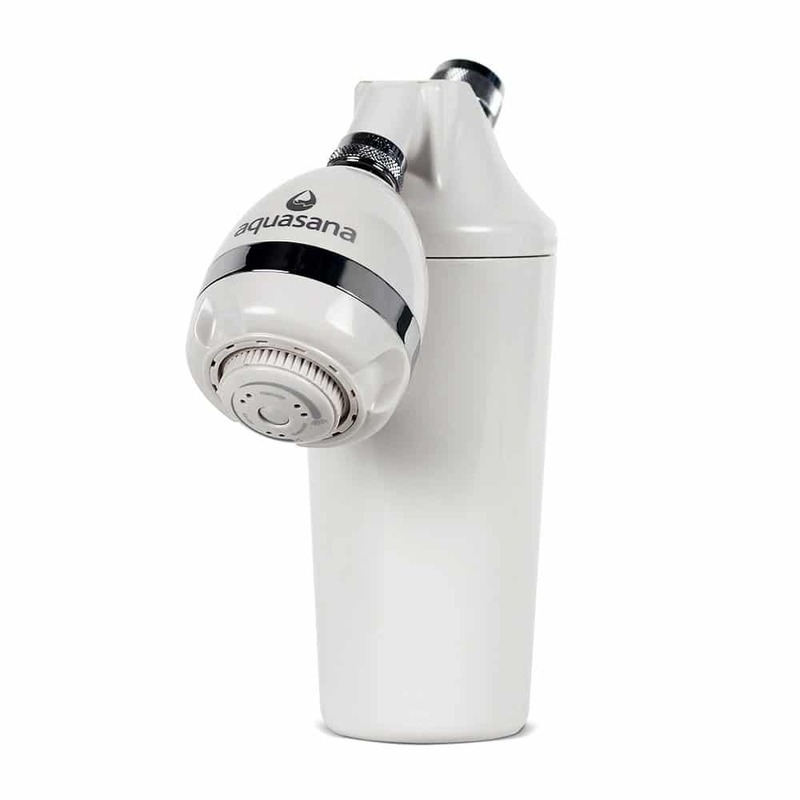 While it may not filter out fluoride and some other harmful chemicals, to improve your showering for a great price, you can't go wrong with this thing. Most most users, there should be a night and day difference, especially when your area is HIGHLY chlorinating your water. For systems that work towards filtering out as much crud as possible, this should be the most basic purchase to get the ball rolling (so to speak). Before you proceed further, you gotta read the PRO's and CON's of this thing, as its not perfect. A really luxurious showering experience cannot be imagined without Aqua Care filter shower head. This piece comes from Hotel SPA and offers some pretty great features that are valuable to people who seek security, and comfort while showering. The first thing that jumps into your face when you look at is is 7-setting water flow. Some of the settings include soft aeration, massage, and power rain, with some pretty cool combinations. Besides that, this AquaCare filtered shower head has a switch button that allows you to pause the water flow whenever you want to. That way, you can control the water flow and be able to save water. Another great thing is that you can pause the shower when you have something else to do, and then get back to the shower again. Despite that, you can also rely on a 3-stage filtering system that will provide you with clean and bacteria-free water each day. The KDF filter system contains three levels of protection: active carbon, KDF and calcium sulfate. So, in comparison to ionic filter which usually contains only active carbon, this 3-level system will make sure that more dangerous substances get removed from your water. This system is effective in removing chlorine, pesticides, and heavy metals, but it also inhibits the growth of mold, mildew, and algae. The filter will last for 6 months (for an average household of four) and should be replaced regularly in order to have clean and purified water. Also, a regular replacement of disposable cartridge should produce a more efficient performance. 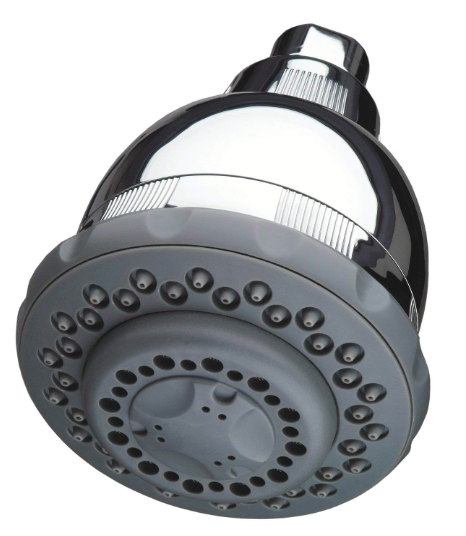 Additional features of this filtered shower head include easy installation and lifetime warranty. If it gets broken, you know it will be replaced. However, if you’re on a tight budget, you’d better look for a more affordable solution. 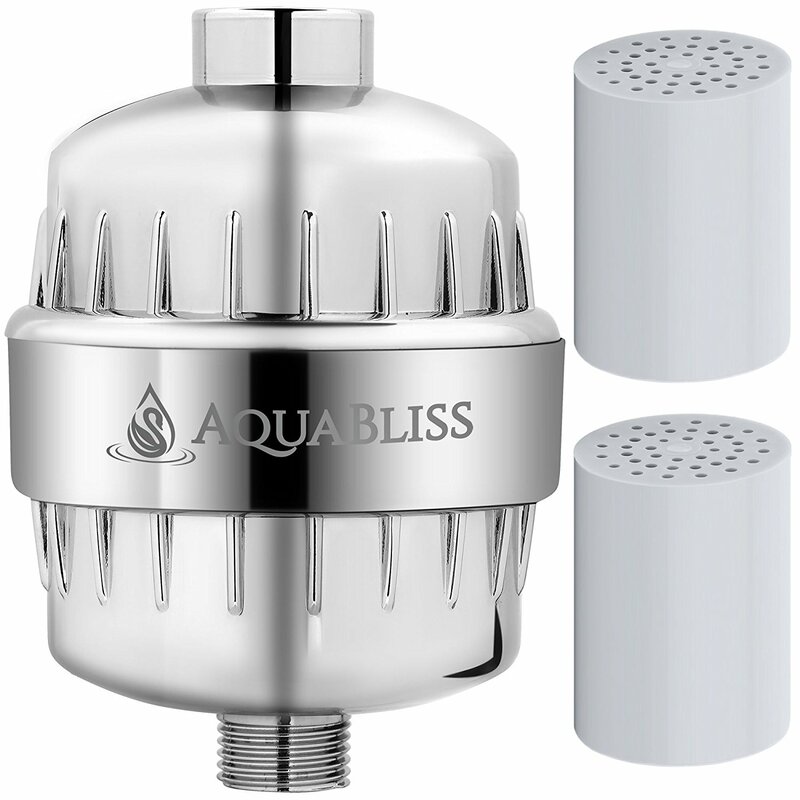 Unlike the other two, Aqua Bliss offers a shower head filter that is installed prior to the shower head itself. That way, you won’t get the filter inside the shower head. The filter will be placed on the shower pipe, which is a better place for the filter. When the filter is installed directly to the pipe, the chances to remove the bacteria and microbes are greater. Since the water pressure can sometimes vary, depending on your location and the type of your home, installing the filter directly on the shower head sometimes isn’t the best option. That’s why you need an Aqua Bliss filter shower head because it will give you a consistent water pressure. 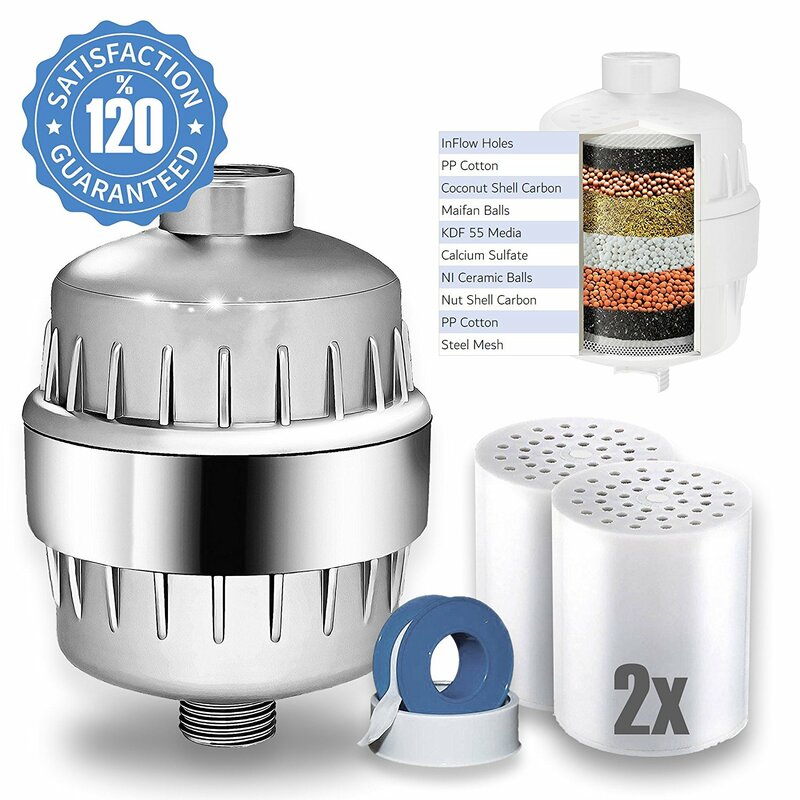 This AquaBliss filter has a multi-stage filtration system, that allows you to get the full water filtration service. Every layer is designed to filter one or more dangerous substances that can be found in the water. What makes this water filter stand out from the competition is that it can be used on both hot and cold water. A combination of a filtered shower head and multi-color LED, which is a great choice for someone who likes to have fun while showering. This YOA Magic Negative Ionic contains an ionic filter which helps in reducing the chlorine from the water. However, it’s not much of a help with bacteria and other microbes, but it will reduce that first layer of dangerous substances from the water. Thanks to the built-in LED lights, it can indicate the water temperature, helping you to know when the water is too cold or too hot. The green light indicates the right temperature of the water. The blue one indicates cold water and flashing red hot water. 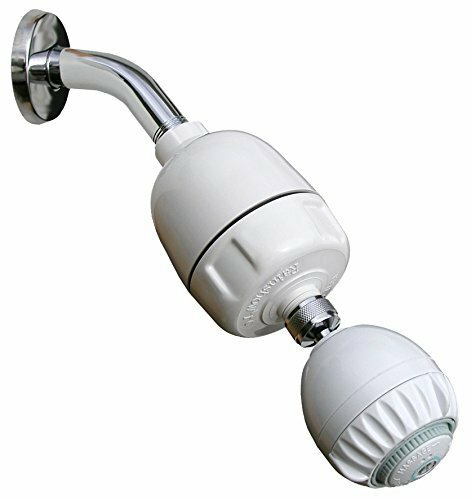 This filter shower head is a great deal for someone who likes unusual and romantic gifts. The lights will create a nice, relaxing atmosphere for the one who is taking the shower. With the chrome finish, this filter shower head leaves the impression of a contemporary look. You should also know that you don’t need any additional hoses or parts to install this shower head because it fits the standard shower pipe. Actually, it’s mounted directly on it. Overall, a great product for a great price. But, if you’d want to be more protected, you should probably look for more advanced filter technology than this one. Probably the most complex shower head water filter out there. The AqueHomeGroup 8-stage filter contains active carbon, KDF, polypropylene cotton, calcium sulfite and other filters that are equally distributed inside. Each filter has its role in the filtration process, enabling buyers to get a perfect filtering system out there. With that many different filters in use, you can be almost certain that the water that is going on your skin will be thoroughly cleansed from toxins, chlorine, ammonia, and microbes. Another great thing about this filtered shower head is that it enhances the water pressure. You can still enjoy the high water pressure, even though you are using a water filter. The water pressure will be consistent, which will allow you to take a quick shower and get ready faster. Besides that, a filtered shower head will make sure you get the purified water which will nurture your skin and your hair. Since there will be no harmful substances like ammonia or chlorine, your skin won’t be dry and irritated anymore. This water filtering system can be placed anywhere, regardless of the type you have. It won’t affect the performance, and it will give your bathroom a nice look, too. Before you start using the filter, make sure you let the water run for 5-10 minutes first. After that, you can jump into the bathtub and take a shower. You will have to replace the filter every 6 months, to keep the level of performance and keep your skin and hair healthy. 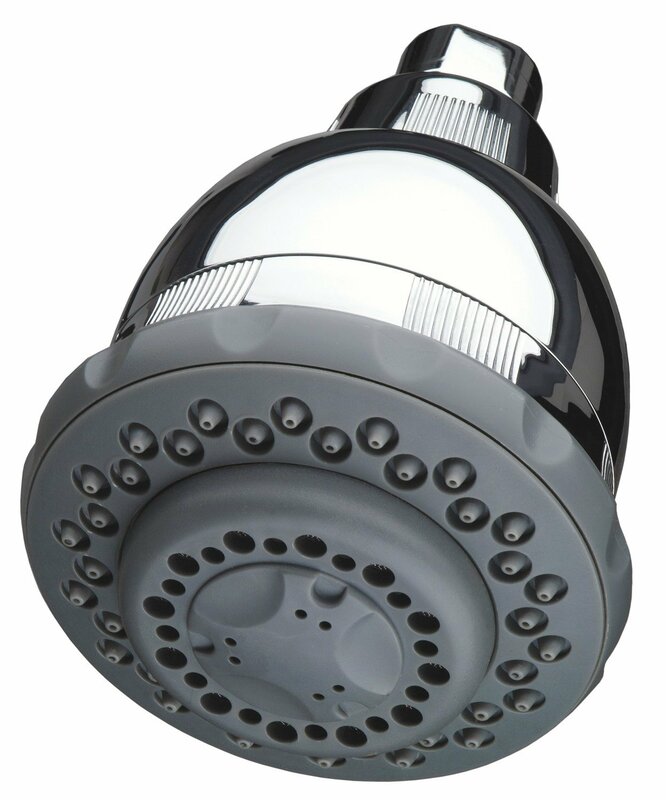 There are several reasons why you should consider buying a filtered shower head. However, all come down to one – taking care of your health. Just as you are using a water filter to get a clean and safe drinking water, you should be acting the same way about your skin and hair. Skin Irritation – Almost 65% of skin irritation is caused by chlorine, which can be found in bath water. 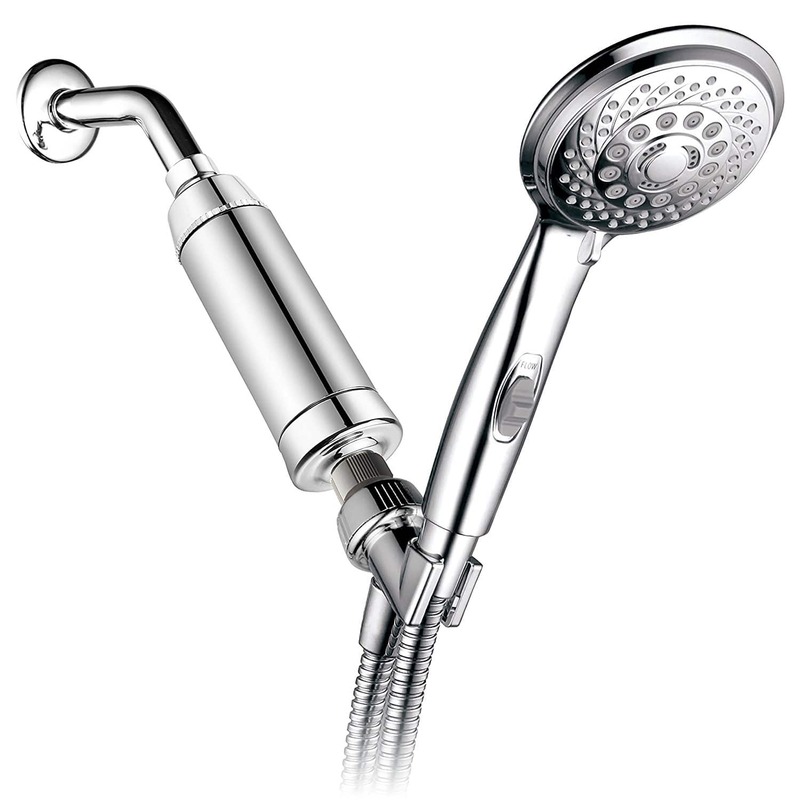 Since most of the shower heads don’t contain water filters, chlorine gets onto your skin each time you take a shower. With a filter shower head, you would reduce chances of a skin irritation, mainly because of the filtering system. It is designed to remove the chlorine out, or at least greatly reduce the level of it. Dry Skin – Chlorine, ammonia, and bacteria from community water may cause skin infections which are difficult to get healed. The main symptom of these infections is usually a dry skin. In some cases, dry skin could appear along with a rash or itching. However, dryness isn’t always a symptom of a skin infection, but it can make you nervous. Dry skin is not a good looking attribute, especially if you’re a woman. So the reason why you should invest in a filter shower head is plain simple – give your skin a beauty treatment it deserves! 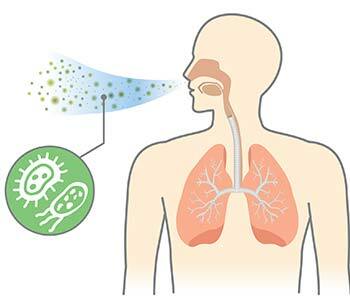 Respiratory Problems – Most of the respiratory problems, such as asthma, are caused by inhaling toxic substances from the air. However, some researchers have shown that a number of toxins is included in the community water used for drinking and showering. While you’re under the shower, the steam is spreading all around you, causing toxic substances to get to your nose and pores. Once you breathe them, they easily go all away through your lungs. In there, toxic substances connect to your healthy tissue and slowly start to deteriorate it. Eventually, you will have problems with breathing, which can be pretty painful. Having a filter shower head can help you in preventing toxic substances from the water to get in touch with your lungs. With the filtering system that will keep toxins and bacteria inside the shower head (usually in an inbuilt container), you will have fresh and toxin-free water for showering. That means that the steam will not be infected with toxins, and you can take a shower without worrying about inhaling them. NOTE: turning down the water temperature to the point where it does not steam can be a helpful things as well. Children – If you’re a parent, you are probably even more concerned with the health of your children than your own. Thus you shouldn’t think about it twice since the skin of your children is more sensitive than your own. Unfiltered water is the reason for almost 30% of the respiratory infections and asthma with children. Not to mention skin rash and irritation – nearly 25% of children have some type of a skin irritation. If not treated properly, skin irritation can lead to more severe conditions. A filter shower head will help you reduce the risk of bathing your children with toxic water. Something people seem to ignore is that there’s a chain effect when it comes down to illnesses with adults, and especially with kids. They first expose their kids to harmful chemicals on a regular basis, be it soaps, toothpaste, listerine, lotions, and to top it off… chlorine and fluoride. A filter will make a DRASTIC difference. 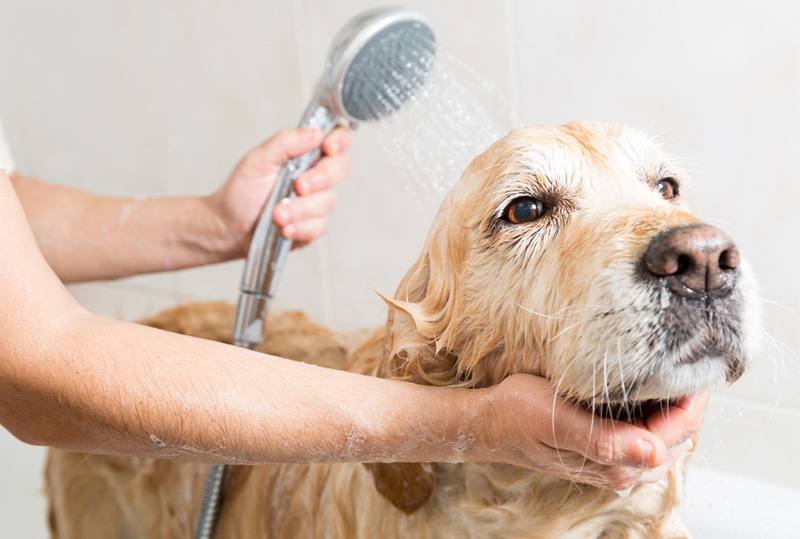 Pets – Pet owners are facing significant problems when it comes to bathing time. Their skin is as almost sensitive as a children’s. With that being said, you might imagine a skin infection, running nose and red eyes that will occur on your pet if you don’t do something about that unfiltered water. To go even further, some pets are overly sensitive to water’s smell, which will cause you problems during the bath time. Dogs, for example, have a more distinct sense of smell than human, so they are perfectly able to detect the odor coming from the unfiltered water. Pregnant women – A woman’s skin is ultra sensitive during pregnancy. That’s why it is recommended that pregnant women avoid sunny hours or infected water which will cause skin problems. In some cases, infected water used for taking a shower can leave red marks on a skin or even blisters and burn-like traces. Plus, all the toxins you are exposed to during the shower can be transferred through the skin to your organism, and perhaps your baby. Is that a scenario that you are happy with? Odd’s you are not, and getting a dozen filter cartridges along with a high-quality shower head.. will ensure you are exposed to the least amount of harmful chemicals doing your pregnancy. If you, your pets or someone you can are facing situations that we described above... congratulations! You most likely need to invest money into a filtering shower head or some kind of shower filter system. Hey, I am Thomas! I'm the brains behind Showeringcenter.comShowering center is a consumer review website that recommends various products that you'd typically find in your bathroom and shower.While i'd like to say I have a "team" behind this website, truth of the matter is... I'm a one man team here (for the most part). Every now and then my wife Emily chines in and helps out, but most of what you see here is from yours truly :).Feel free to reach out, I love connecting with new people!